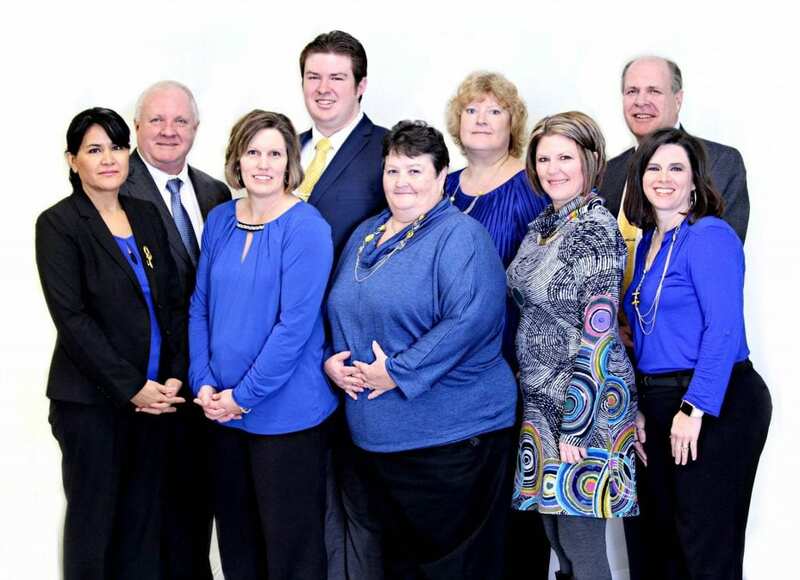 Dickey McCay Insurance Agency is located in downtown Copperhill, Tennessee. 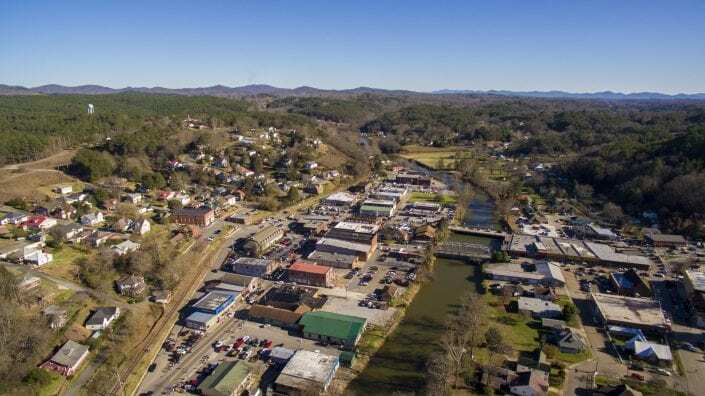 With a rich history going back to the days of mining, railway, and beautiful blue ridge mountain heritage, an agency was formed in 1929 to help insure and protect the people and community. In 1950, an individual by the name of William Rymer purchased the insurance agency. He was a caring, customer oriented and community minded person who was very ethical in his business dealings. This was important as he built his insurance business to promote integrity, community and support. Mr. Rymer cared for the people of Copperhill, Tennessee and surrounding area as he wanted the best for them and their families. He understood the insurance industry and wanted to make sure those he cared about had the protection they needed as they worked hard for their money. In early 2000, Mark Brooks and Leland Rymer purchased the agency from Mr Rymer and expanded upon on his vision of excellence by continuing to offer quality insurance and enhancing the product line to promote the integrity, care, and support Mr. William Rymer worked so hard to create over the years. After sixteen (16) years of working together, Leland Rymer handed over the reigns to Mark, his business partner. In 2016, Mark became the sole owner of Dickey McCay Insurance agency. Over their sixteen (16) years of working together, Mark Brooks was instrumental in growing the agency by adding new insurance companies to offer valued products and services, educating their agents, valued clients and new customers while continuing to offer and add the best products and services at affordable and valued market pricing, and supporting the local and area community by participating in fund raising and charity events to help others. Mr. Brooks and his insurance team (administrative staff, managers, underwriters, accountant, insurance agents, etc.) believe it is important to give back to your community though the support of different events and activities such as the support of local schools with donations to various clubs and programs. Dickey McCay provides a happy Christmas experience to children in their local elementary schools that might otherwise not receive gifts. Also, various staff members coach youth softball teams, is active in the Fannin County Chamber of Commerce, involved in their local dirt track in Blue Ridge, and individual churches in various capacities. Yes, they truly do live by the motto, “We live, work and play” in the same places you do, so your life and well-being matters to us. Since 2000, the agency has grown from a $1,000,000 size insurance agency to a $10,000,000 size insurance agency which means that Dickey McCay is continuing to grow and offer more products and services to the local community of Copperhill, McCaysville, and Tellico Plains, Tennessee to the surrounding areas of the Tri-State area such as Blue Ridge, Georgia, Murphy, North Carolina, Andrews, North Carolina, Blairsville, Georgia and down as far as the Atlanta, Georgia. The company can write insurance policies in Tennessee, Georgia, North Carolina, Alabama, Kentucky, Mississippi, and South Carolina. If you have commercial lines of business or personal insurance needs, the company is expansive and can handle most small, medium and large business and personal insurance protection support. With its dedication and expertise, Dickey McCay Insurance has become a trusted and valued source for auto insurance, homeowners insurance, flood insurance,renters insurance, personal articles and marine inland insurance,business owners policies, cyber insurance, general liability insurance, workers compensation insurance, individual life insurance, individual and family health insurance, and group benefits such as group health insurance and group life insurance. When it comes down to it, insurance is all about people and protection, and at Dickey McCay they are there to serve their customer (you)to ensure the right product and service is provided at the lowest cost available. As for service tools and resources to support their existing clients, new customers, and ensure the best service, Dickey McCay business hours are Monday-Friday 8:30 am to 4:45 pm, and on Saturday 9 am to 12 pm. This allows for their customers who are not able to visit any of their office locations through the week, the ability to visit them on Saturday. They have a website (www.dickeymccay.com) which allows you to communicate with them, get to important information through their valued Internet links, or find valued information or resources you need. In addition, they offer multiple payment options to their customers, which include a client portal that allows 24/7 (24 hours a day and 7 days a week) customer access to your insurance information such as insurance cards, coverage information, etc. Also, they have just introduced (launched) a new mobile app that allows you to file a claim, make a payment and complete other options to make doing business with them easier. The goals of the Dickey McCay Insurance agency are to grow with new producers (insurance companies), double our production with our current staff, and in the near future, they would like to acquire a new location in a different geographic area to support their growing base of customers. Their number one focus is to provide value-added services to their customer every time to ensure they are getting what they want when they need it and have the right coverage to be fully protected. An example of a valued producer for Dickey McCay is their partnership with FMT (Farmers Mutual of Tennessee) as they allow us to offer additional options for customers who have homes in Tennessee. The underwriters are very easy to work with and provide excellent customer service. Our motto is “We live where you live” and Farmers Mutual allows us to provide coverage to our customers in our very rural areas. Without a super relationship like FMT, we couldn’t offer the different options for different clients across our geographic area of the Tri-State (Tennessee, Georgia and North Carolina). Farmers Mutual of Tennessee is an excellent company with a great reputation of providing excellent products, services and support for our customers, which aligns with our core values. In closing, Dickey McCay’s daily commitment and dedication to their customers sets them apart from their competition. They strive daily to provide the best customer service to each and every customer. They also have a wide variety of companies so they are able to offer varied levels of coverage depending on your need. Our agents are highly educated to be able to provide the best advice for our customer’s insurance needs. If you have any questions regarding auto insurance, homeowners insurance, commercial or business insurance, flood, cyber, personal liability insurance or health insurance, Dickey McCay Insurance can help answer your questions and get you the support you need at the right price. You can find them on the web at www.dickeymccay.comor call them toll-free at (855) 876-9779. The fine people at Dickey McCay would enjoy hearing from you and will be glad to travel to meet with you if you can’t get in to see them.